Sophie is a senior at Cherry Hill East who lives, breathes, and loves writing about sports. Ask her a question about sports and she will probably know the answer. Her favorite teams are the Yankees and Giants. 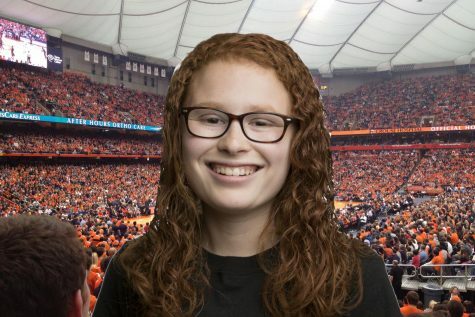 She is also an avid Syracuse sports fan. She hates any team whose mascot is a bird because she has an irrational fear of birds. In her free time, you can find her watching Netflix or at the JCC. She also loves strawberries. After all, people think her hair is red because of the amount of strawberries she eats.